I’m told that the reason you build a platform is to “reduce the marginal cost of developing applications.” Sounds good. Well, actually it sounds a bit dry. But it’s about right, we want to make creating new online development tools faster, easier, and more fun, which I guess is the “reduce the marginal cost” thing. Before we get into the details of how to extend the Allura platform, perhaps it would be smart to explain some of the big pieces and why they are there. We wanted Allura tools to be fast, we needed them to scale, and we had some complex requirements for data storage and extensibility. So, we needed a fast, flexible, and easy to use data persistence system. 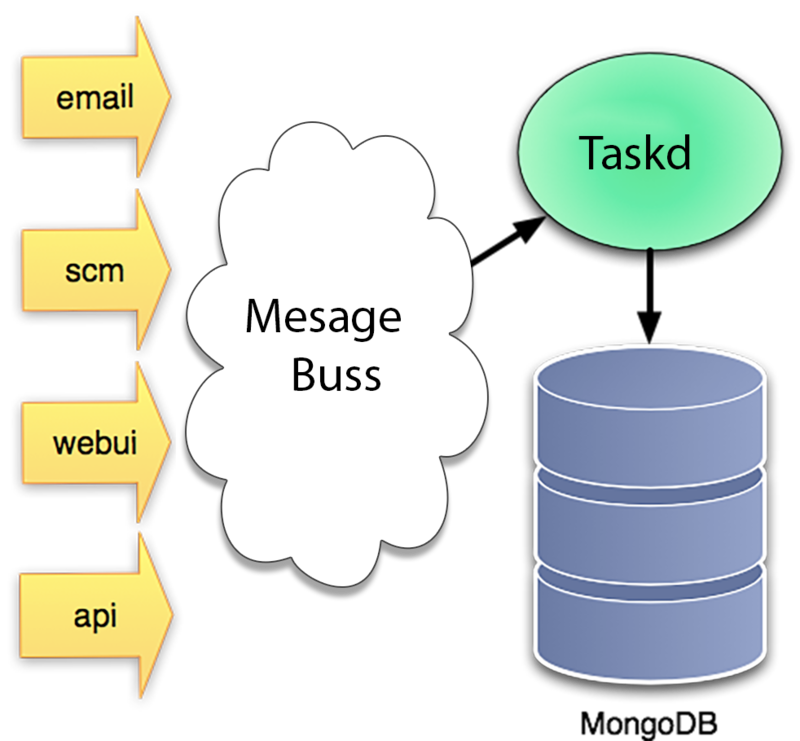 We were very impressed by the general message architecture of Roundup, but we wanted to extend it from just email messages to include scm commits, and we added a message bus, to make it fast. We were also impressed by the flexibility of Roundup’s Hypertable system in allowing for ad-hock ticket schema additions. and to mange document revisions, access control lists, and other platform level data. In spite of the power and flexibility of the Roundup HyperTable implementation, we had some concerns about performance and scalability. Fortunately several of the Allura authors used MongoDB in rewriting the download flow of SourceForge.net, and knew that it could handle huge loads (we saturated a 2gb network connection on the server with 6% cpu utilization). 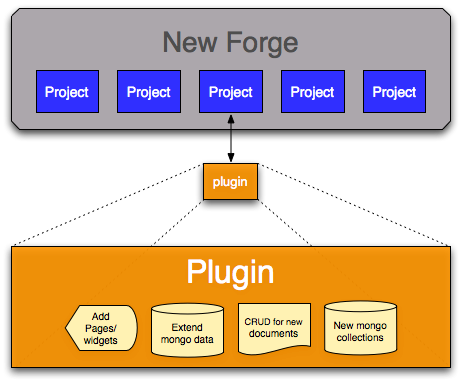 We also knew that MongoDB’s flexible replication system would allow us to build the forge in such a way that we could easily provide a package of all project data to developers concerned about lock-in. Not only that but Rick Copeland had built a couple of custom Object Non-Relational Mappers (ONRMs?) before, including one for MongoDB, and he whipped up Ming, which backed on MongoDB and gave us exactly what we needed. Writing a tool for Allura is as simple as defining a few controllers to handle particular URL’s, templates to render pages, and defining the schemas of any Allura document types that your tool requires. In order to facilitate more open processes, where more users can contribute – while still protecting data – documents can easily be “versioned”, and the platform provides tools to manage versioned documents for you. We know that some projects are going to want more locked down access controls in their bug trackers, or more workflow based processes. These things are inevitable, and we really do want to support them, but at the same time they are going to conflict with the way many other projects want to work. Building a plugin (tool in Allura terms) system, and standard integration points makes it possible to serve everybody in one way or another.